How many calories are in a glass of wine? And how many glasses are in a typical bottle? Soon, drinkers may be able to find the answers to these questions by looking at the back of certain wine bottles, thanks to a new federal rule allowing alcoholic beverages to feature a "Serving Facts" label akin to the nutrition facts labels on food products. While the labels are voluntary, a push to make them mandatory may be in the works—a development that has small wineries worried. 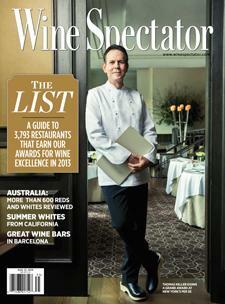 Wine Spectator's Ben O'Donnell reports.